This spring, Farmers Union chapters across Wisconsin will host film screenings of the “Little Pink House” to raise awareness about the threat of eminent domain for private gain. 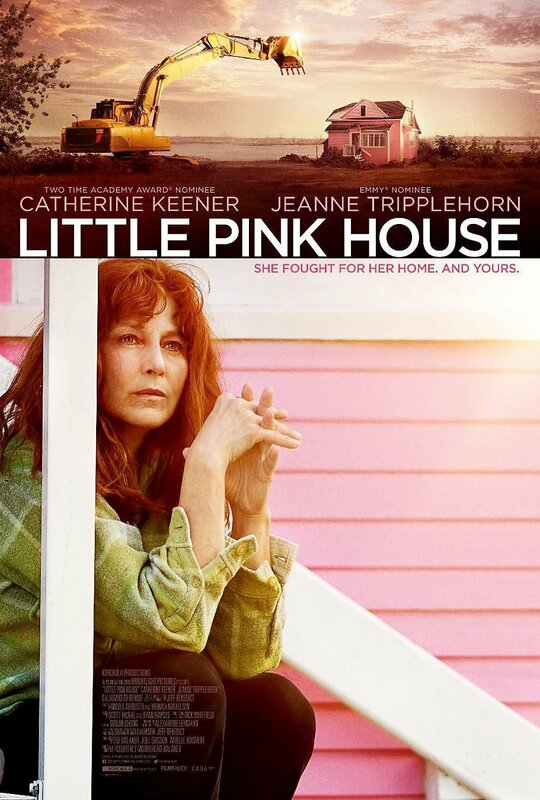 Farmers Union chapters across Wisconsin will host film screenings of “Little Pink House” this spring to raise awareness about the threat of eminent domain for private gain. The film is based on the true story of small-town paramedic Susette Kelo’s fight to save her blue-collar neighborhood from being bulldozed by the pharmaceutical giant Pfizer. Kelo emerged as the reluctant leader of her neighbors in a battle that went all the way to the Supreme Court. In policy set by its grassroots membership, WFU opposes the implementation and use of eminent domain when unrelated private entities become the beneficiaries of farmers’ or private persons’ assets and no direct benefit to the local public occurs. The WFU calls for fair, balanced eminent domain guidelines that protect the rights of individual property owners and promote the public good. WFU opposes allowing private businesses to condemn public land. • Thursday, April 4, 7 p.m., Frances L Simek Memorial Library, 400 N. Main St., Medford. • Thursday, April 4, 6:30 p.m., Westby Community Center, 206 N. Main St., Westby. • Saturday, April 6, 11 a.m. to 2 p.m., Park Falls Public Library, 121 Fourth Ave. N., Park Falls. • Thursday, April 11, 6 to 9pm, Valkyrie Brewing Co., 234 Dallas St., Dallas. • Monday, April 15, 5 to 8 p.m., NWTC Student Center Auditorium, 2740 W. Mason, Green Bay. • Wednesday, April 17, 6:30 p.m., Menomonie Public Library, 600 Wolske Bay Road, Menomonie. • Sunday, May 19, noon to 3 p.m., Pleasant View Nursing Home, N3150 WI-81, Monroe. • Thursday, May 23, 6 to 9 p.m., WFU Kamp Kenwood, 19161 79th Ave., Chippewa Falls. Arrive early for a 5 p.m. tour of the camp and 5:30 p.m. potluck. For more information or to RSVP, visit www.wisconsinfarmersunion.com/events.